The Kicks will extend Nissan's crossover and SUV lineup to compete against the Honda HR-V and Mazda CX-3 subcompact crossovers. NASHVILLE -- Nissan’s elusive Kicks -- a new baby crossover -- is getting closer to U.S. showrooms but Nissan Canada declined to say whether it was en route to Canada. "We cannot comment on potential future product," Nissan Canada spokesman Didier Marsaud said in an email to Automotive News Canada. Nissan has not officially disclosed plans for the Kicks, a Versa-sized subcompact, but it has been spotted road-testing near the automaker’s U.S. r&d centre in Farmington Hills, Mich. The Kicks will extend Nissan’s crossover and SUV lineup to compete against the Honda HR-V and Mazda CX-3 subcompact crossovers. Nissan’s crossover lineup currently stops at the subcompact Juke, which features a lower, hatchbacklike profile compared with the Kicks. The Qashqai, which is known as the Rogue Sport in the United States and is slightly smaller than the popular Rogue, will debut this spring. 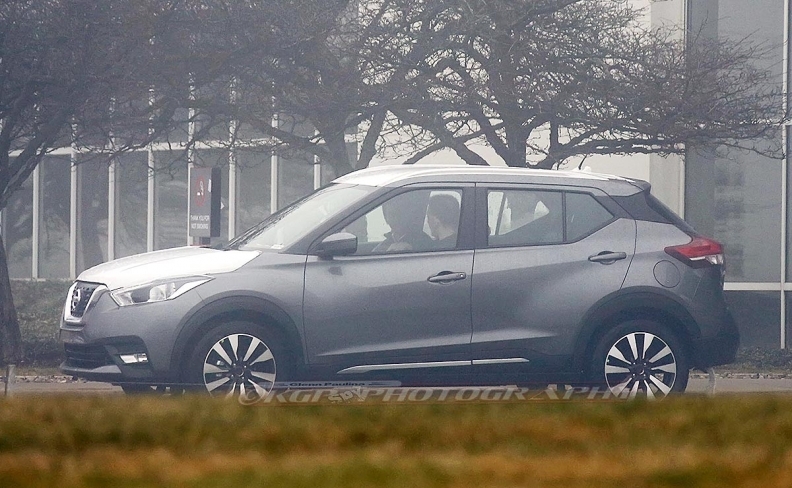 In the United States, the Juke was never intended to appeal to the lower-end U.S. mass market, as the Kicks will be. The Juke’s marketing push has always been as a sporty vehicle, pitched primarily to single males. According to company sources, the smaller Kicks will be built at Nissan’s plant in Aguascalientes, Mexico, where the Versa is produced, and reach U.S. showrooms as early as the first of next year. Nissan originally presented the Kicks concept as a product for South American markets, with a plan to produce it in Brazil. That plan remains on track, but Mexico will take the larger role in exporting the vehicle globally, including to the United States. Nissan Canada does have video of the Kicks concept on its website, but the focus is on Brazil.